A very well maintained detached two/three bedroom bungalow enjoying a lovely south west facing landscaped garden and modern kitchen/dining room. The property is situated in the popular village of Everton within easy reach of Milford on Sea and Lymington and benefits from off road parking and a garage. A covered porch with UPVC front door opens into the entrance hall. On the left hand side is the family bathroom which comprises a bath with Triton shower over, wash basin and vanity unit, WC and heated towel rail. On the right hand side of the hall is a the master double bedroom which has a wall of fitted wardrobes and enjoys outlooks over the rear garden. The second bedroom is also a good size double with fitted wardrobes and outlooks over the front aspect. Accessed from the hall is also the kitchen which comprises a full range of floor and wall mounted handle-less white gloss units with black work tops over. The units incorporate a full height integrated fridge and freezer, a single bowl sink unit with drainer, an electric oven with extractor hood over, and an integrated dishwasher. The whole of the kitchen has an archway leading through to the dining room and both enjoy white tiled flooring throughout. The kitchen also has a door leading outside, and the dining area has a return door to the hall. 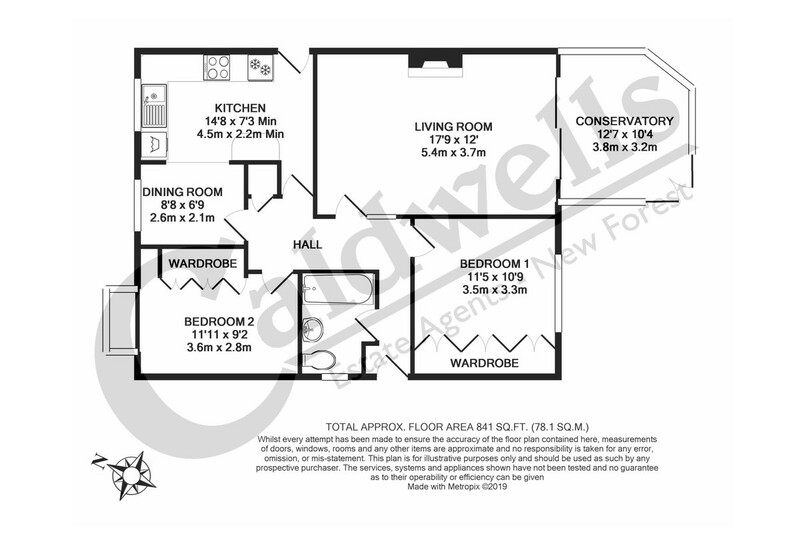 Please note, the dining area could be converted back into a third bedroom, if so required, as the large sitting room does provide enough space for a dining table. A door from the hall leads into the spacious sitting room which enjoys an electric fireplace and doors leading to the conservatory. The conservatory has a Victorian style pitched roof and French doors leading out onto the patio and garden. The property is approached via a pathway leading to the covered porch and front door. To the rear of the property there is access to a single garage with off-road parking in front of the garage for one or two cars. The rear garden faces south west and is well landscaped with various patio areas interlinked by paved stone pathways. The remainder of the garden is mainly laid to lawn with a variety of shrubs, bushes and hedges to the boundary. There is a large shed and a personal door gives access into the single garage from the garden. There is also a rear gate leading to the parking area and the front of the garage. Lymington is a pretty, Georgian seaside town located just south of the New Forest. The town is famous for offering some of the finest sailing waters in the UK and is home to the Royal Lymington Yacht Club which makes it an extremely popular hub for the yachting enthusiast. Lymington High Street is the venue for the bustling Saturday street market and has a tremendous variety of unique boutiques and shops, as well as cafes, pubs and restaurants to enjoy all year round. As well as this, there are many parks and areas such as the Old Town Quay in which to relax and take in the atmosphere of this charming, individual town. The Quay itself is reached via a small winding cobbled street and provides impressive outlooks over the Lymington River. One should enjoy the locally made ice cream from one of the parlours whilst taking in this wonderful view. Lymington is a popular year round destination with a great deal to offer, including easy transport into and out of town. A regular ferry link gives easy access to Yarmouth on the Isle of Wight, whilst the nearby village of Brockenhurst also offers a fast rail service to London (approx. 90 minutes to Waterloo). 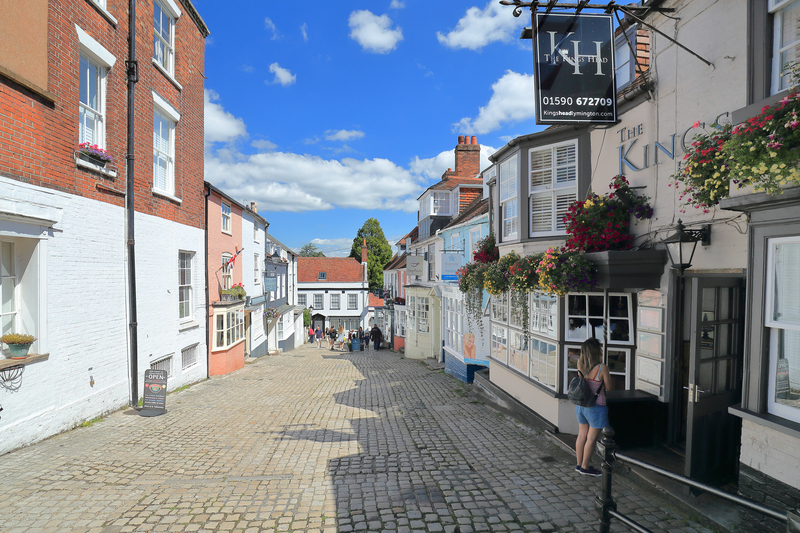 Cobbled streets and beautiful scenery means Lymington is a highly sought after area with demand frequently surpassing supply. A large portion of homes in Lymington have been redeveloped into modern apartments and retirement properties, although there are still some Grade II listed homes and properties dating back to the Georgian and Victorian era. View our properties for sale in Lymington here or contact us today for help with your Lymington property search.